Confirmed Instant Book: Chapelle du Chateau de la Paix near D-day! 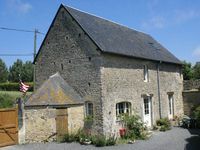 Property 68: Confirmed Instant Book: Chapelle du Chateau de la Paix near D-day! 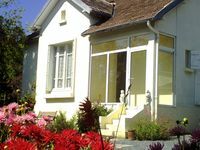 We spent 3 beautiful days and 2 nights in the Normandy area of France. This was an &quot;excursion&quot; from Paris mainly for my WWII husband buff. However, I left this area completely in love with the countryside, the people and this wonderful home. While we hit many of the high spots, there is so much history to soak in.I hope to come back someday and spend more time here. Some of the best moments was when we stopped long enough to sit down and talk with the residents of this area. Wonderful, sweet, generous kind people. This house it self is in a terrific spot. It is perfect for Omaha and Utah beach, Mary St Eglise, Point du Hoc, and of course the American Cementary. Please make the 101st museun in Mary St Eglise a priority, it is superb. Great location to visit World War II sites in Normandy.